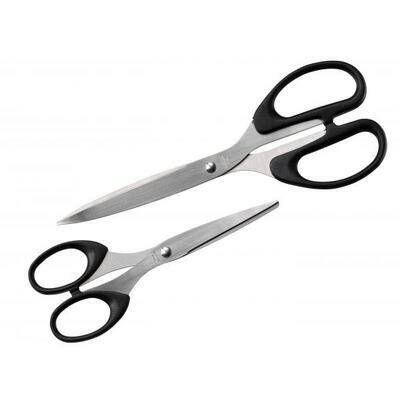 Home » Stationery Supplies » Scissors 6"
A high-value product for the home or work, add our Scissors to your basket today. Crafted with a lightweight design, they have been finished with rubbed rounded ergonomic handles for comfort during use. Presented in an easy-to-hold size, stainless steel blades effectively slice through a range of items including papers, fabrics or foods to ensure the most precise cut every single time. A great resource to have on hand and one that promises to become much used.